FCBayernMunchen wrote: Let's not exaggerate, we would finish 2nd in that group. Probably we would, but not with our current form. With our current form we'd be lucky to finish 3rd. Last year we finished 2nd in a much weaker group and our squad right now is as good (talent-wise) or arguably better. I really don't like French football and their teams! I hope Nice get eliminated in the playoffs! Current is the key word there. It's a set of friendlies, against seasoned oppositions and generally speaking clubs that play in a way that does not suit us. Far from being apologetic here - it seems we are able only to win reliably against teams that get scared a bit and forget their tactics completely. I think that we can't possibly hope to win this again with Lewandowski alone. I think he has some cracks in his mentality that, thankfully, have not been fully exposed yet because he always had solid support behind him. But either way, wrong as I may be - we still urgently need a back-up in case of an injury. And at the same time, that needs to be an already established player who could contest him and motivate him to be better. Hoffenheim vs Liverpool in the Play off round. Now we can all see if Nagelsmann is actually worth all the hype surrounding him. Will be interesting to see how he fares against Klopp. Last edited by America USA on Fri Aug 04, 2017 11:25 am, edited 1 time in total. America USA wrote: Hoffenheim vs Liverpool in the Play off round. Now we can all see if Nagelsmann is actually worth all the hype surrounding him. The worst possible opponent for Hoffenheim. A city of 466,400 inhabitants versus a village of 3,272. I predict Liverpool to go through on aggregate. However, If Nagelsmann manages to win both legs then I'll really start taking him seriously. Very big if though. 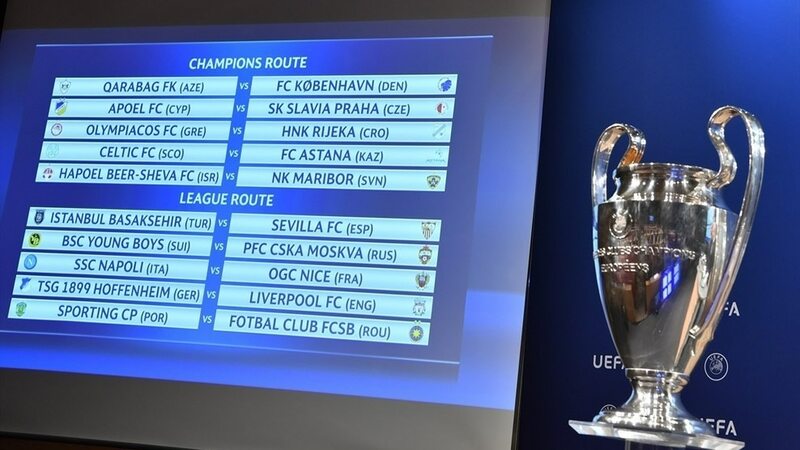 The good thing for Hoffenheim is that they'll play at home first and if they can keep a clean sheet and win 1-0 that would mean no worries of a Liverpool away goal at Anfield and if they themselves score in Merseyside then it'll be a sucker punch to Klopp's team. If Hoffenheim get through, just sack Ancelotti and pay Hoffenheim 50M for Nagelsmann.